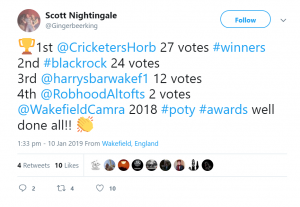 Beerhouses | The Cricketers Arms wins Wakefield CAMRA pub of the year. The Cricketers Arms wins Wakefield CAMRA pub of the year. We are delighted to announce that The Cricketers Arms have won Wakefield CAMRA pub of the year 2018. This follows their CAMRA pub of the season win last summer. 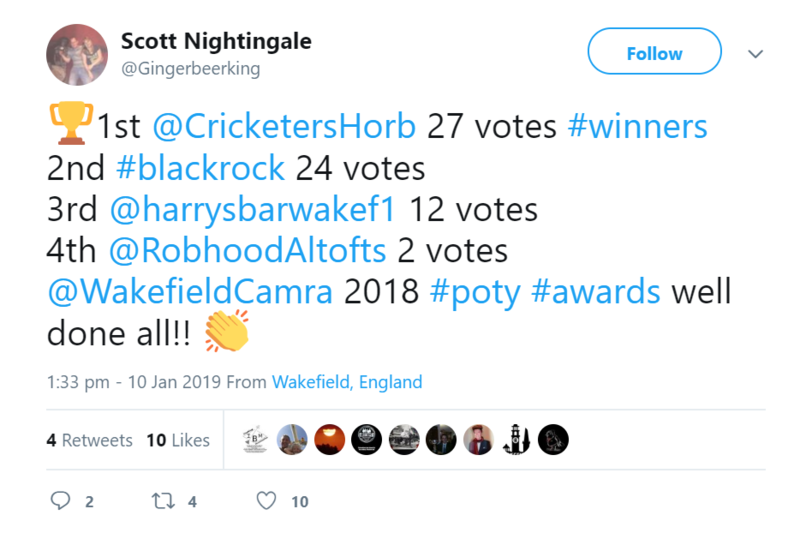 Well done to Jo and the team for a great year, and thank you to Wakefield CAMRA for their continued support. Presentation date to be announced soon, we hope to see you there to help us celebrate!